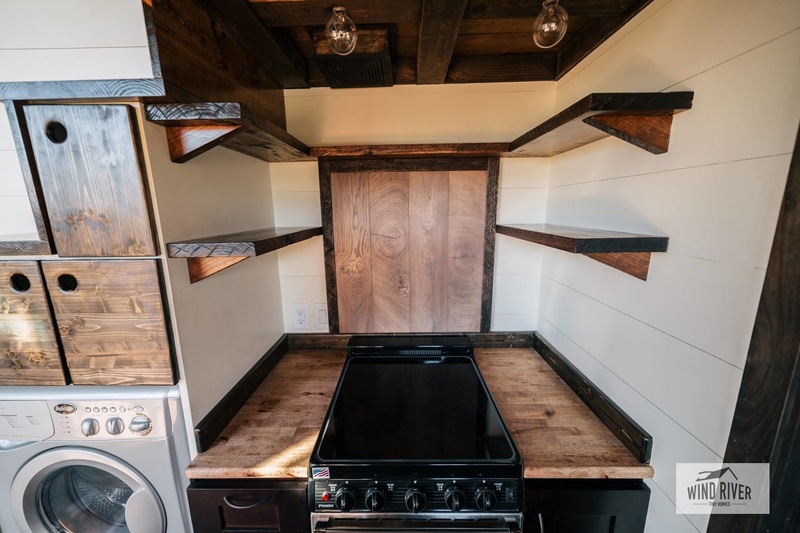 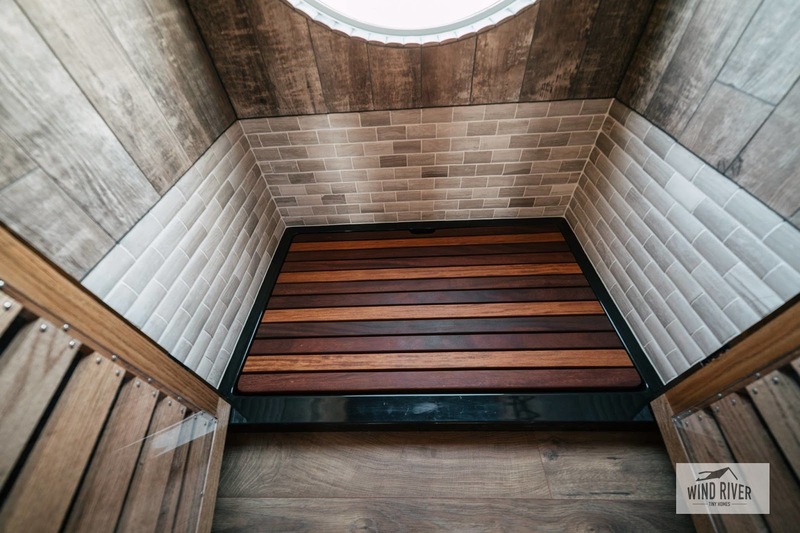 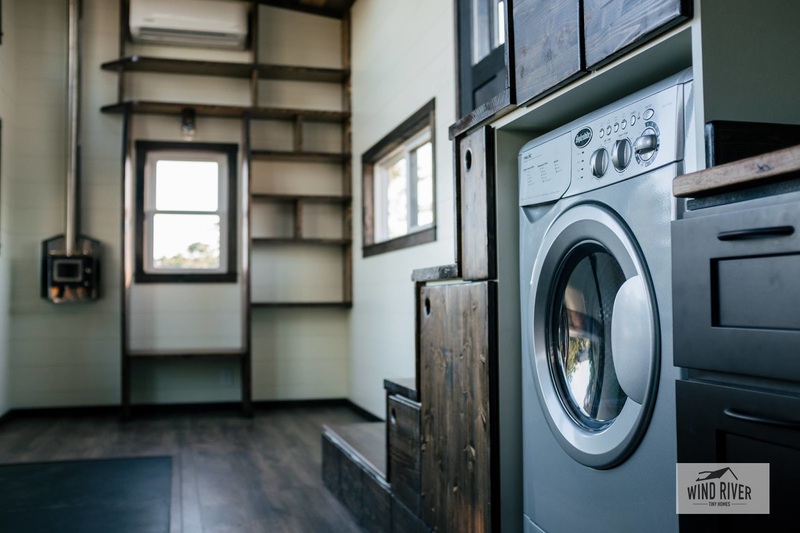 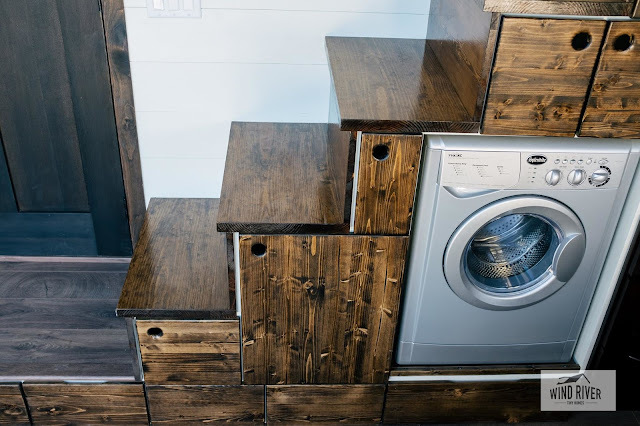 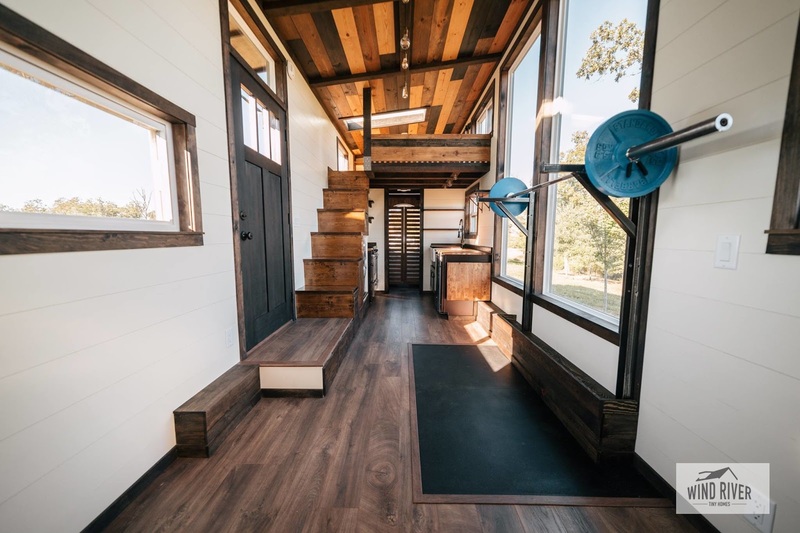 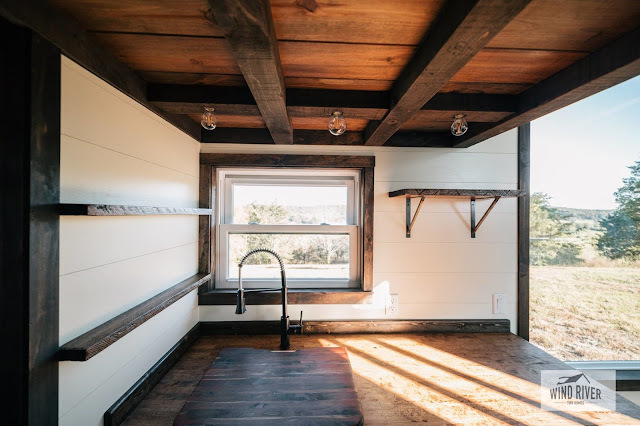 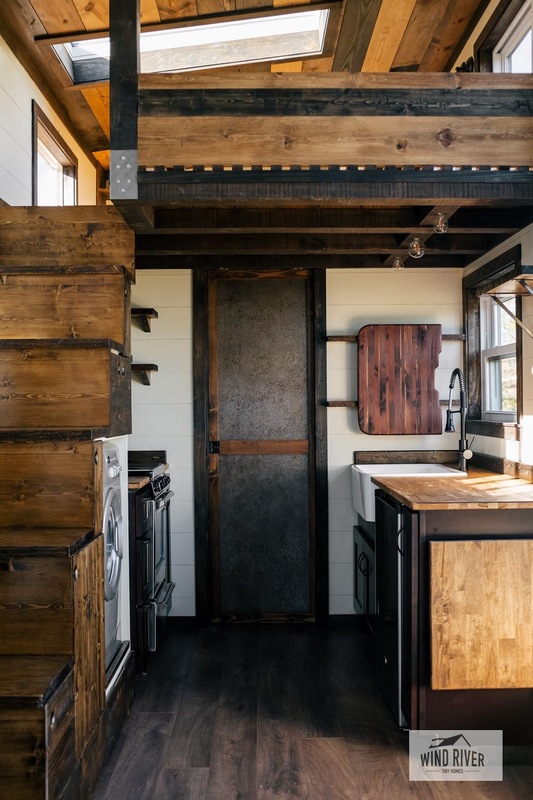 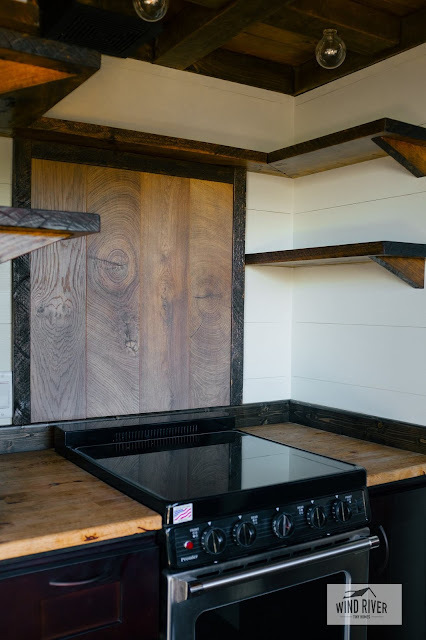 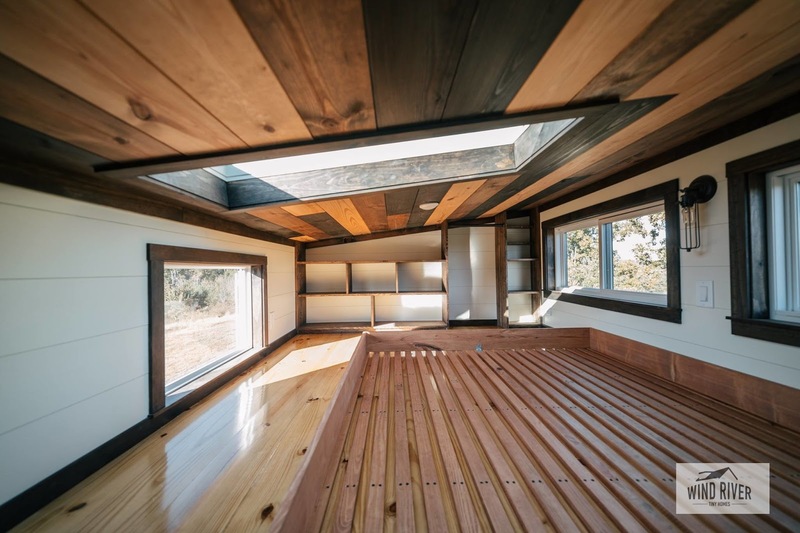 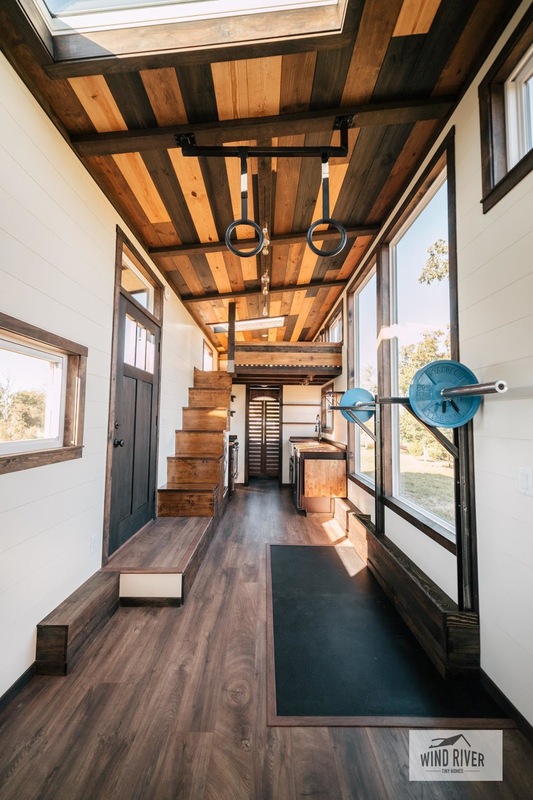 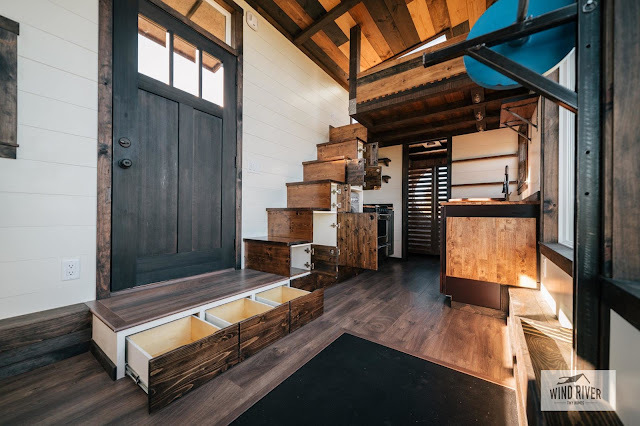 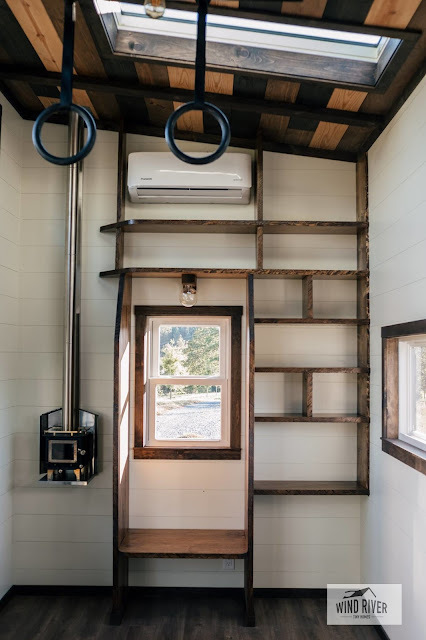 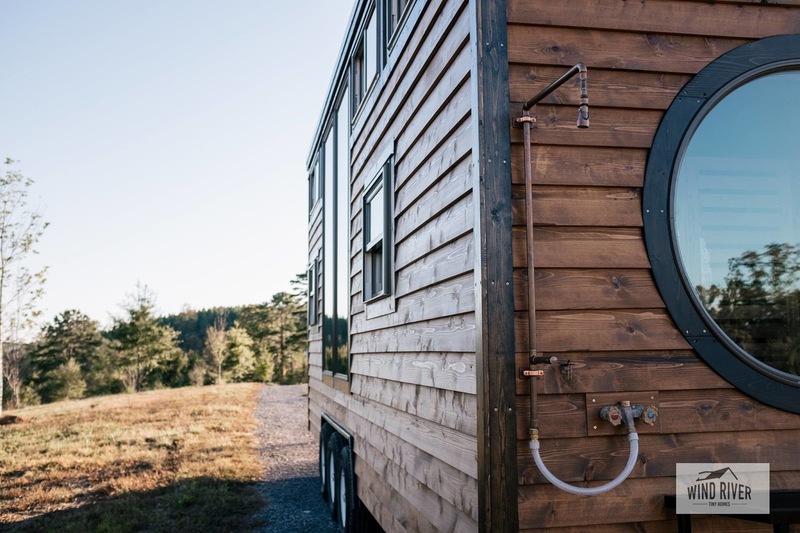 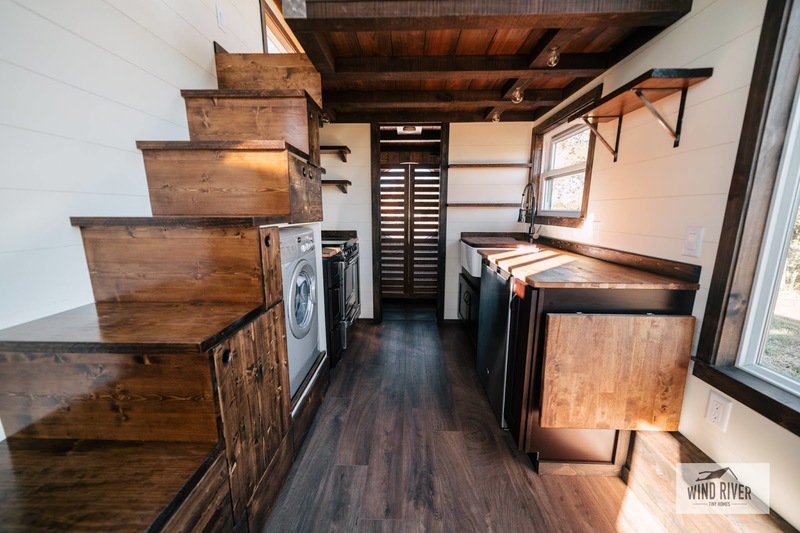 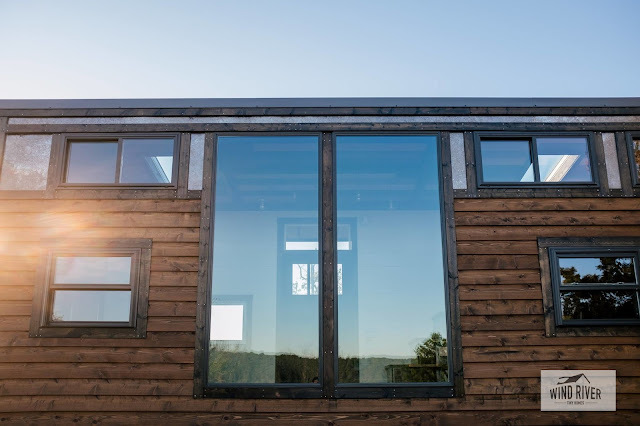 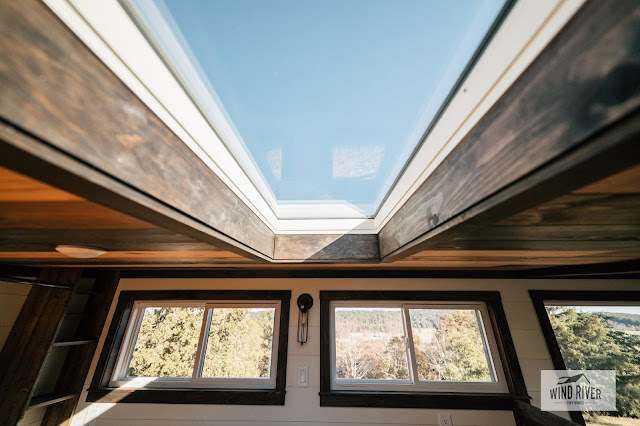 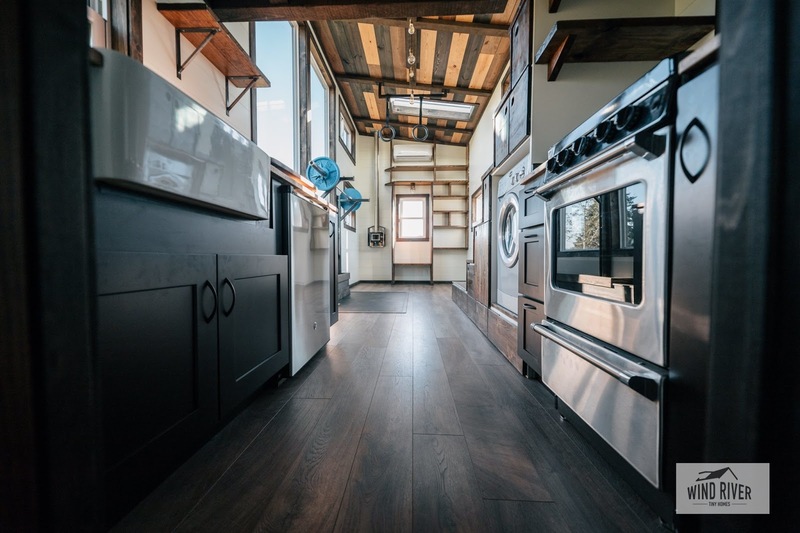 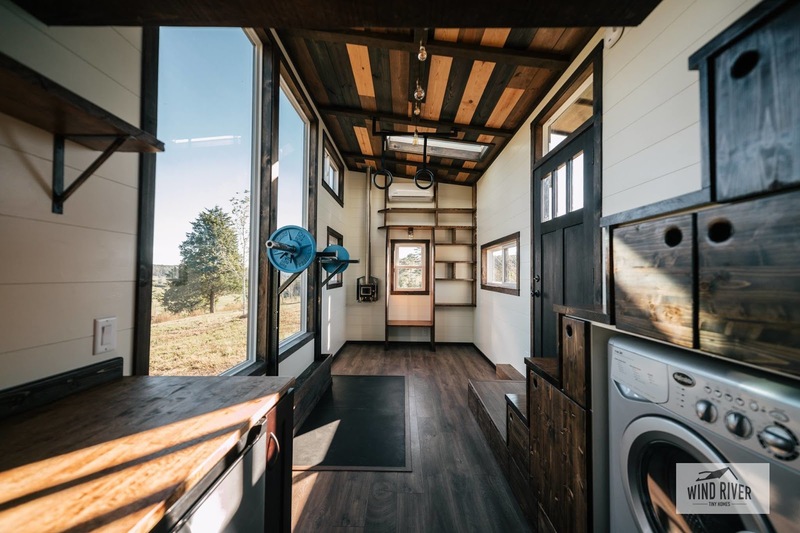 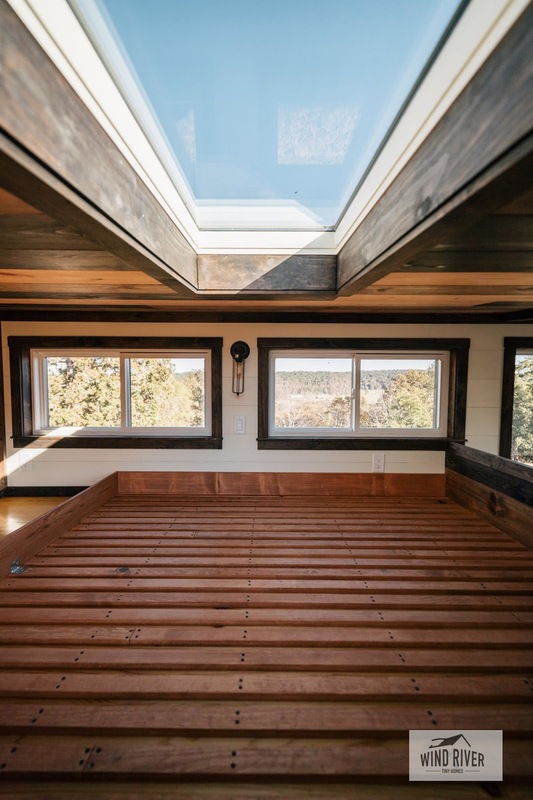 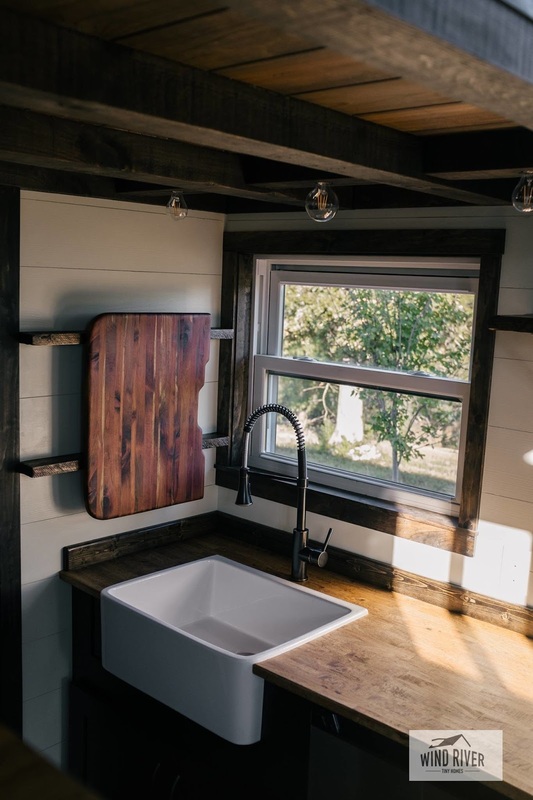 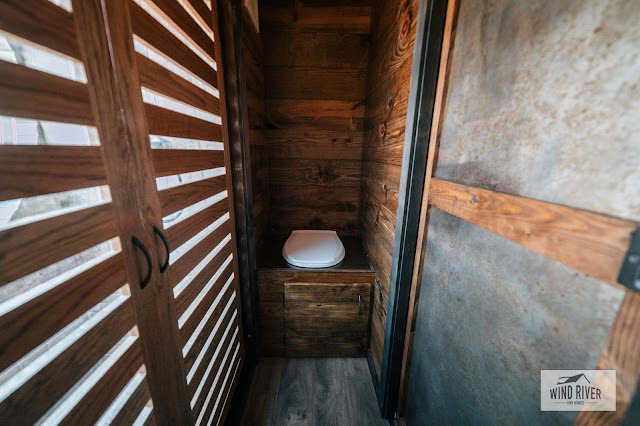 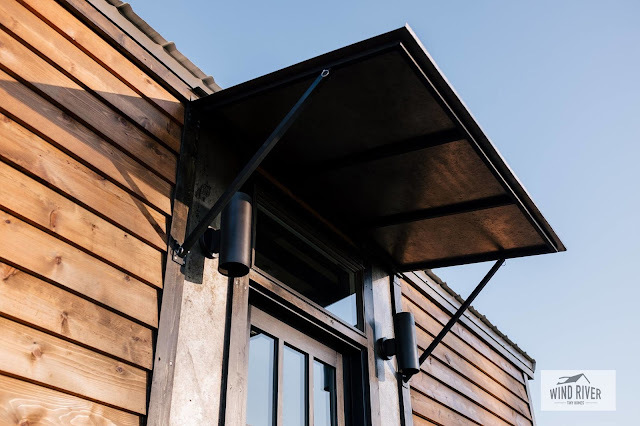 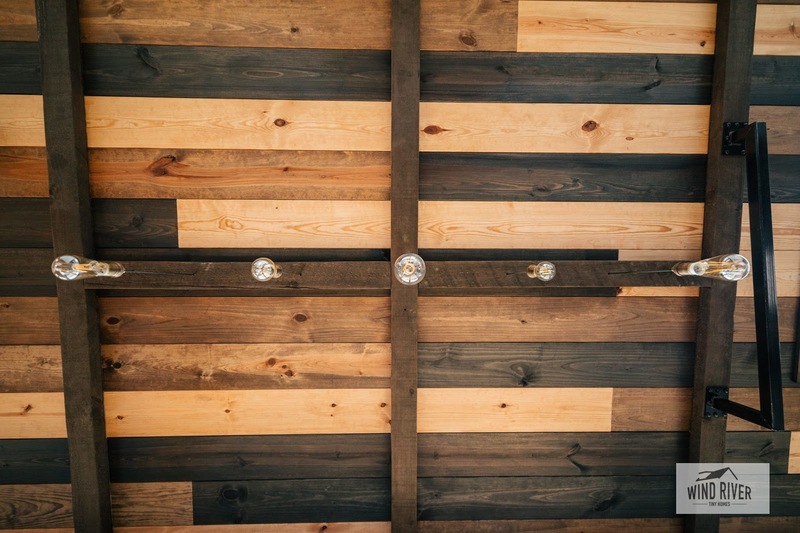 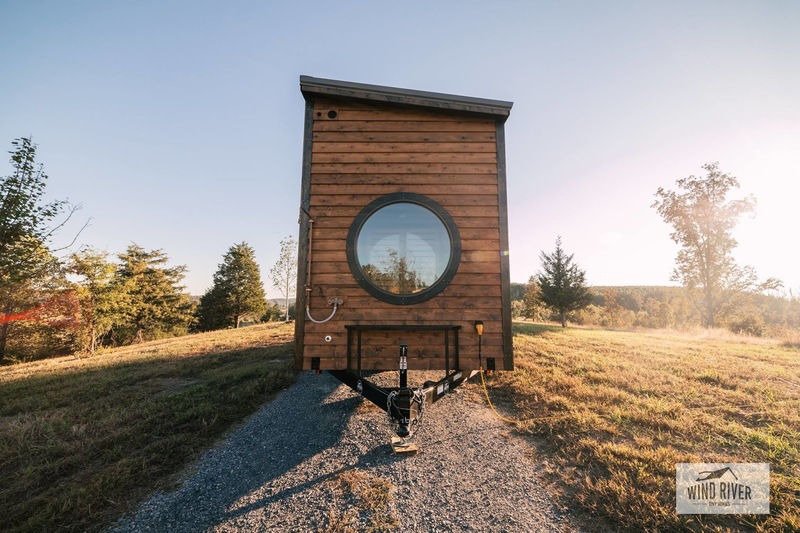 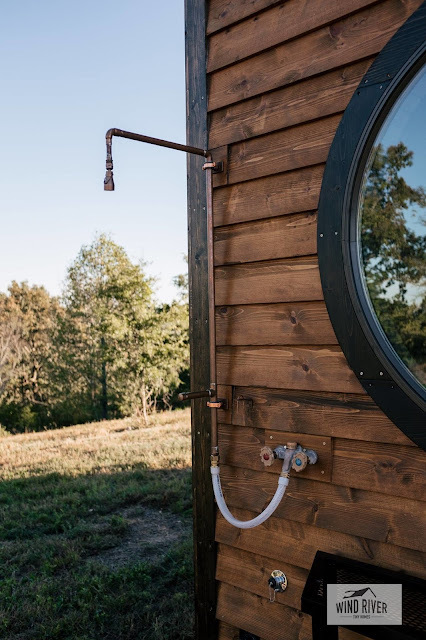 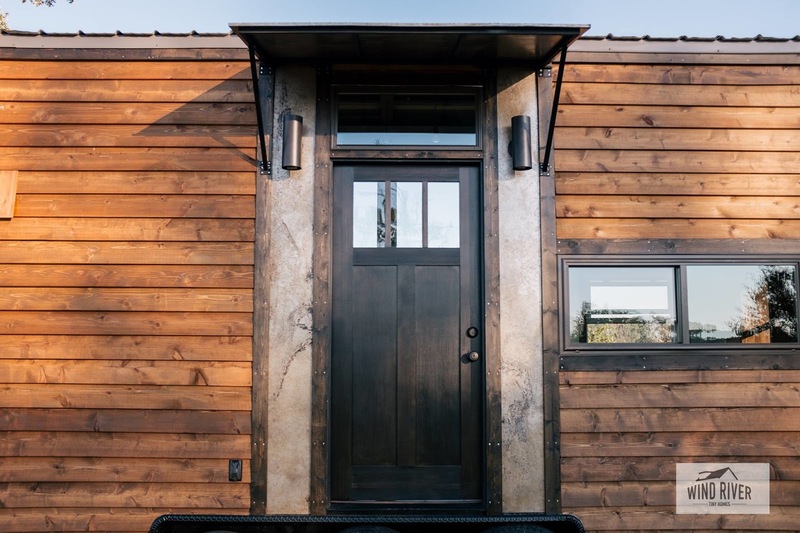 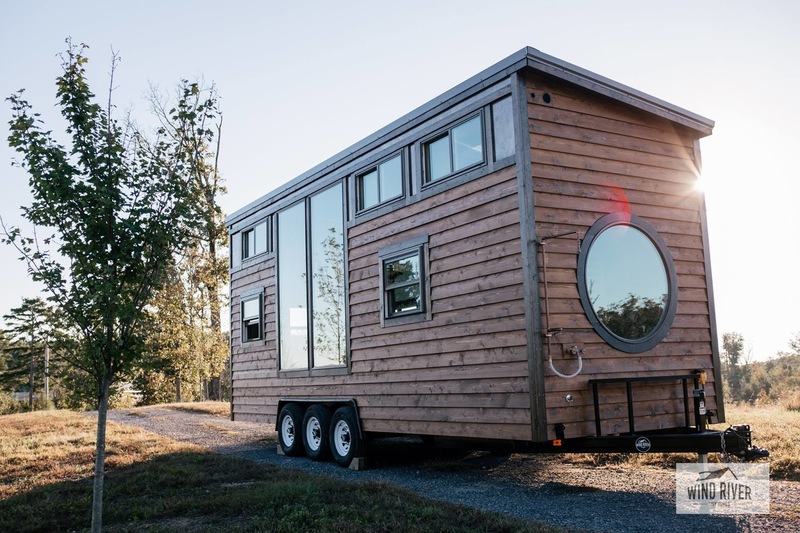 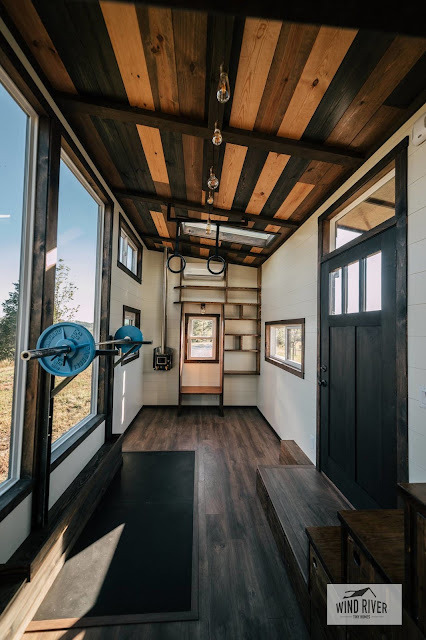 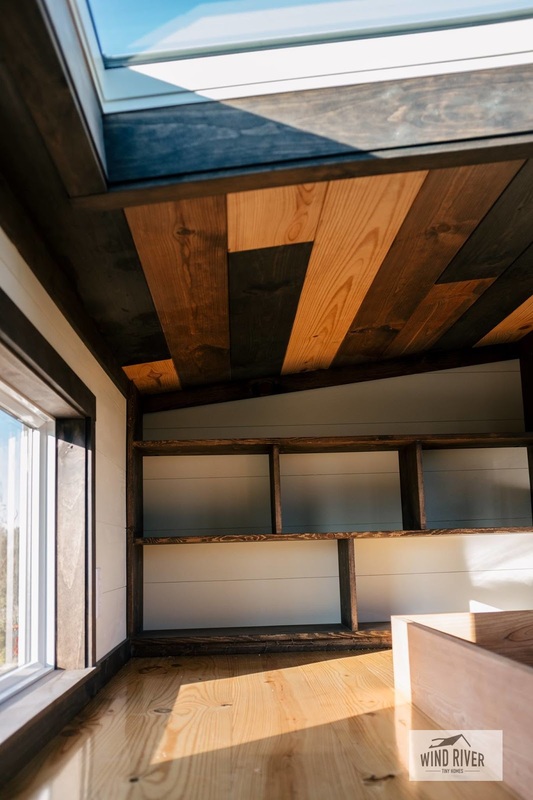 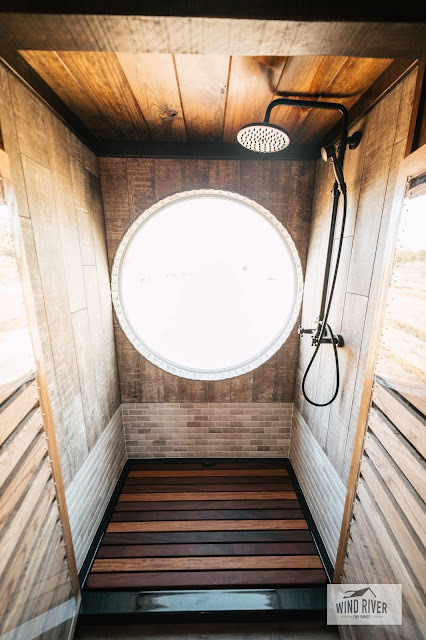 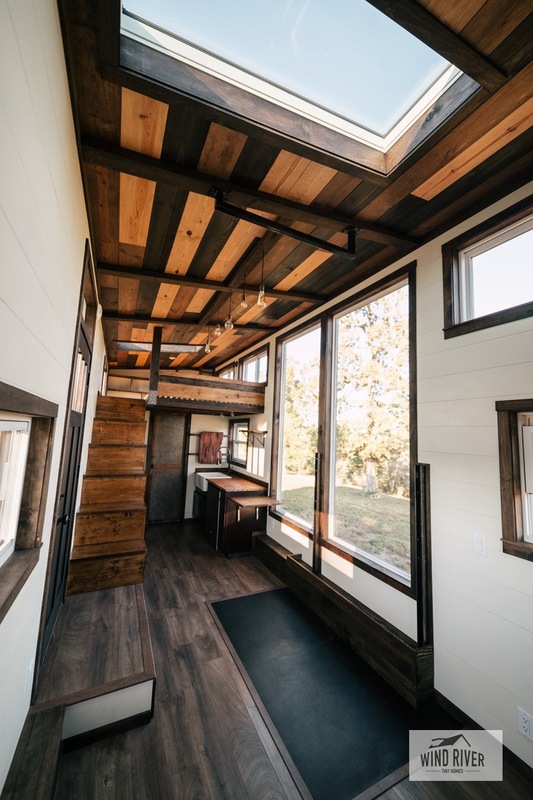 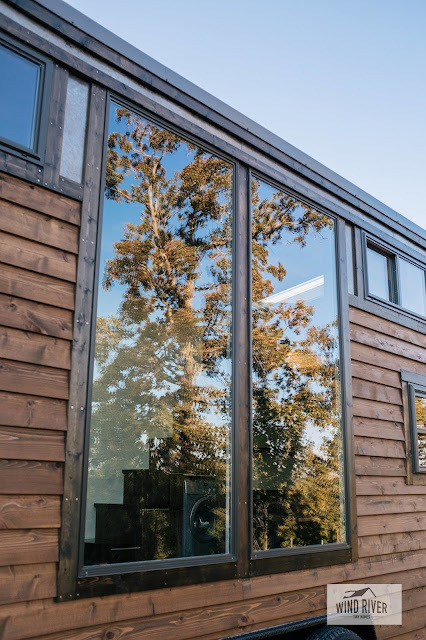 From Wind River Tiny Homes is this stunning luxury tiny house that perfectly blends together rustic and industrial into one beautiful home. 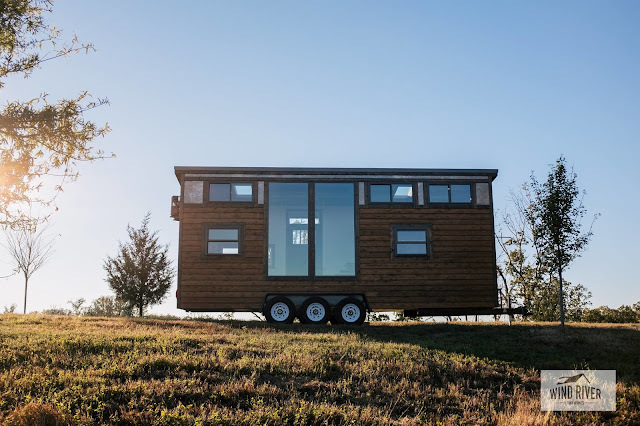 Named the "Silhouette", the home measures 26' x 8.5' and is a custom build for clients from Vermont. 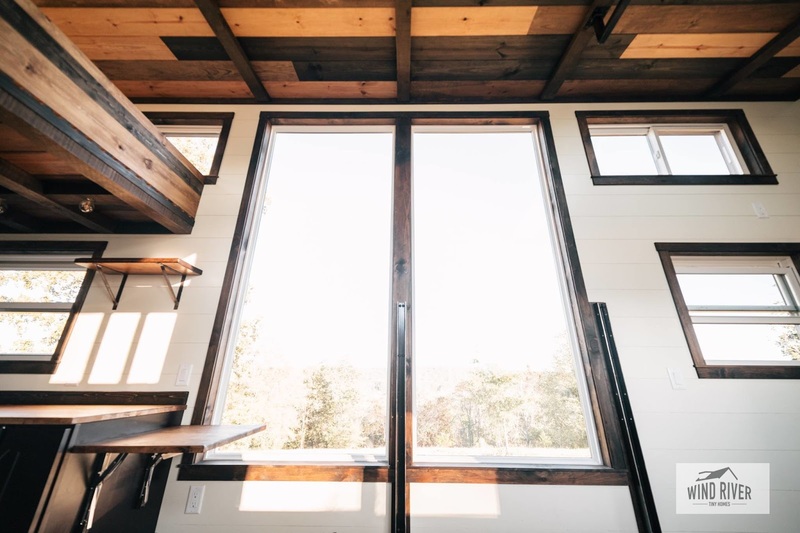 The home comes with plenty of window space for its new owners to take in the surrounding views of the New England vista they call home. 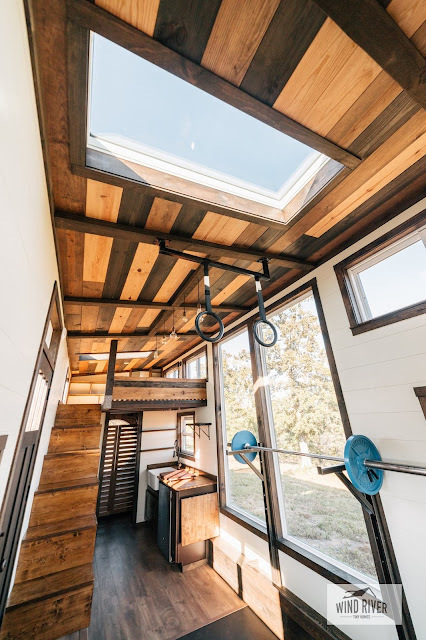 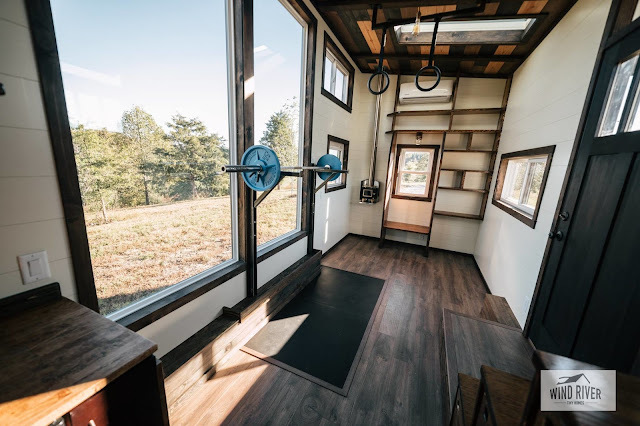 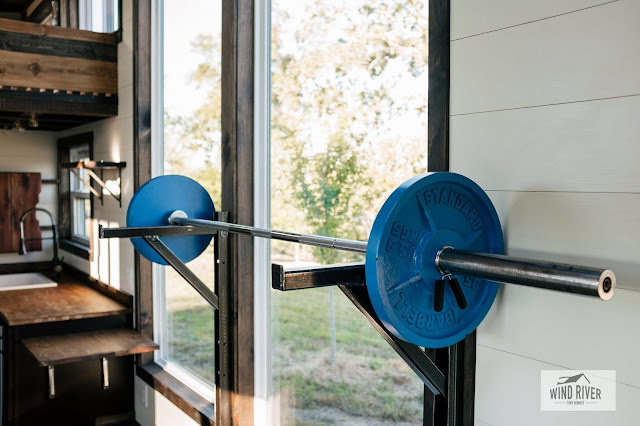 One of the cooler nice features of the home is a crossfit gym Wind River installed inside the home's living room. There's an olympic squat/bench rack and even gymnastic rings hanging from the home's ceiling. 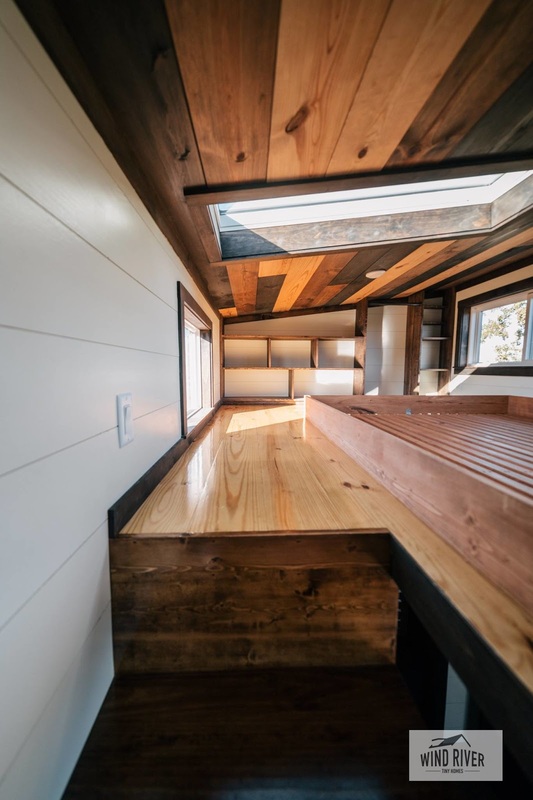 Also included in the living room is a custom reading nook with a wood burning stove to keep you warm. 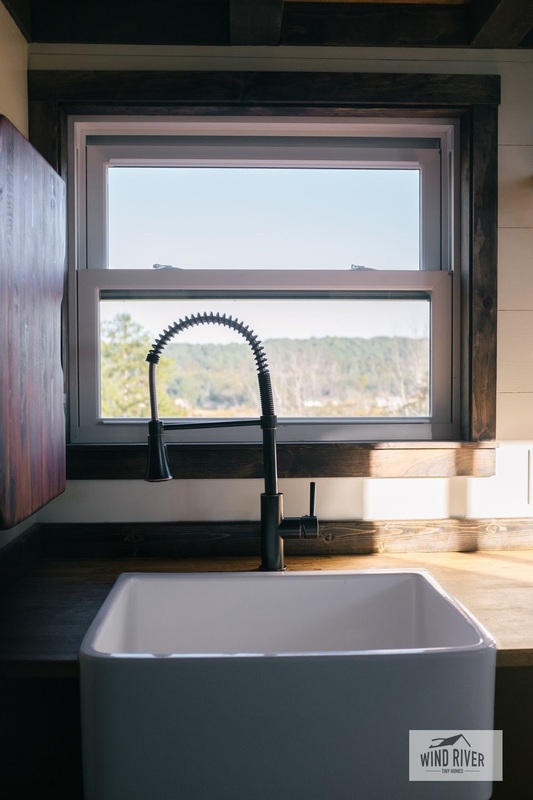 The Silhouette's kitchen comes outfitted with a folding prep space, a chopping block sink, and a beautiful fireclay kitchen sink. 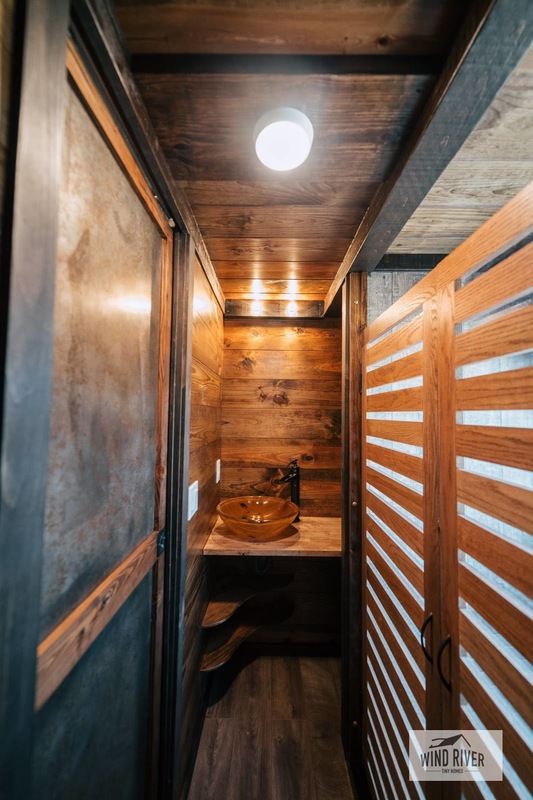 There's also a bathroom with an over-sized shower and a tankless water heater! 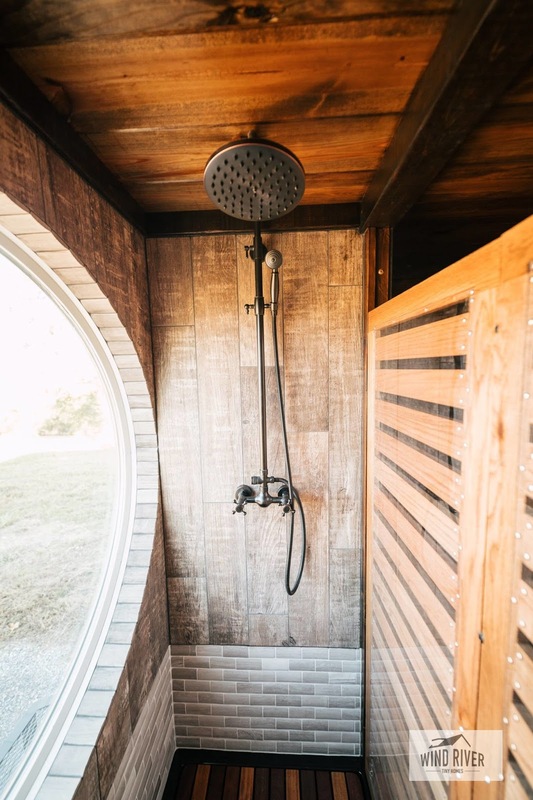 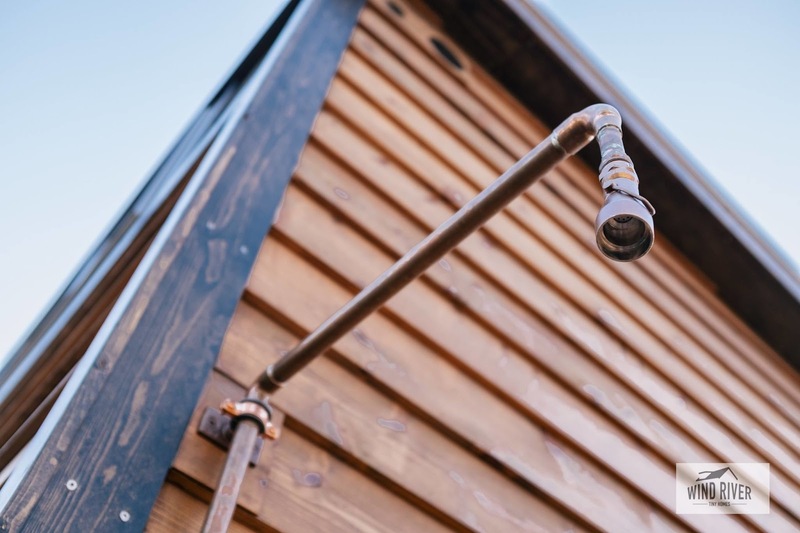 Or, if you'd prefer to take things outside, there's also an outdoor shower with an exposed copper shower head on the Silhouette's exterior! If you were interested in ordering the Silhouette, exactly as pictured, it's priced at $89,000. 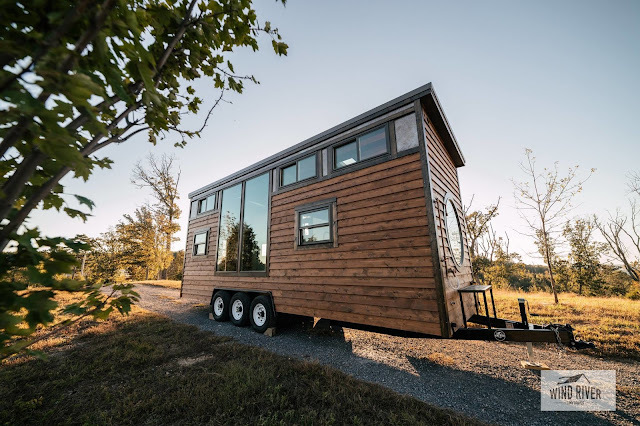 Feel free to contact Wind River Tiny Homes here for any further questions or inquiries. 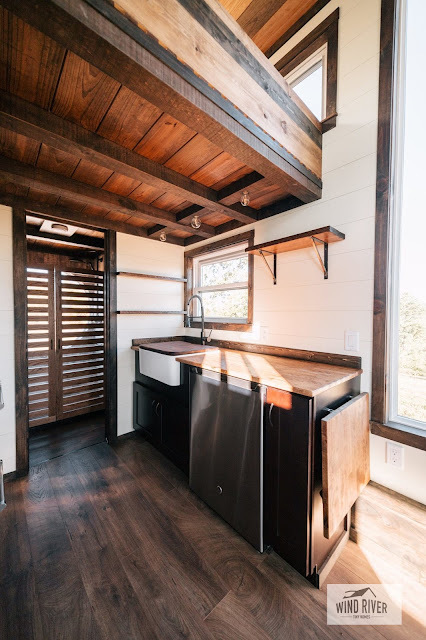 You can also check out some of Wind River's other beautiful tiny homes here!